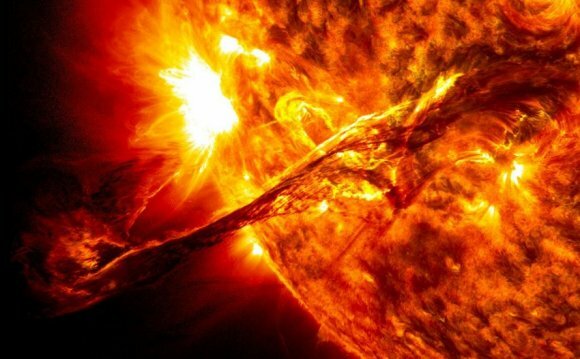 What if the nuclear reaction that heats the sun could be replicated to power cities on earth? Lockheed Martin is betting that it can be done — and within a decade. The defense giant said Wednesday it is building a compact nuclear fusion reactor. “Many of the approaches [to nuclear fusion] right now have significant drawbacks, ” Tom McGuire, compact fusion lead for Lockheed’s California-based “Skunk Works” team, said in a phone interview. Some of those drawbacks include instability associated with the reaction, he said, or scaling problems, which means the reactor needs to be very large in order for fusion to work. “What’s different about our physics is it’s inherently small and stable, ” McGuire said. The Skunk Works Group’s first step is proving that its model works, he said. Eventually, the company hopes that “instead of a construction project, we can make them in a factory, ” he said. With the announcement, Lockheed joins a host of ongoing global efforts to study the potential of nuclear fusion. For example, the European Commission last week announced a $1 billion (850 million euro) initiative to develop nuclear fusion as an energy source by 2020. Here’s how nuclear fusion works: When two extremely hot atoms collide, their nuclei combine to form one, releasing massive amounts of energy. Unlike nuclear fission, which powers the world’s reactors today, nuclear fusion does not release harmful radioactive material, making it a clean form of energy. Why talk about the effort now? Lockheed said it would look for partners in industry as well as the academic community, McGuire said. The team at Lockheed is made up of about 10 people, he said. For the nuclear fusion project, the company hopes to take a cue from the venture capitalist world, McGuire said. That means the team will seek additional funding after successful technology demonstrations at every stage, he said.